Want to strike terror into the heart of a strong athlete? Put the heavy stuff after a conditioning test. Few things hurt the ego of the “strong guy” or “strong girl” like a heavy barbell that’s out of reach beyond a bunch of burpees. 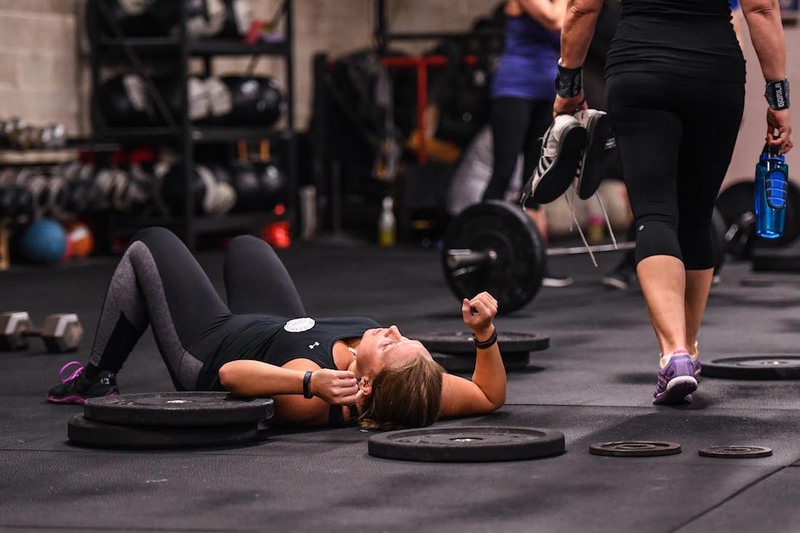 We who finish last in Murph derive a great deal of self-esteem from picking up heavy stuff, so an untouched barbell is a kick directly in the crotch. I’ll preface this by saying I’m not that strong—but my strength is better than my conditioning. So when Director of the Games Dave Castro announced 18.2, I was fine with a 12-minute test. When he announced 18.2a, my heart sank along with all the other people who wondered if they’d even get to their beloved barbells. Of course, my delicate inner lifter felt slighted, craving instead an Open conditioning test that starts with a 400-lb. deadlift buy-in. After that, I played the guessing game of trying to figure out what I’d be able to lift if I managed to man up and earn a few seconds on the bar. A great many CrossFit athletes take pride in their strength—and well they should. Strength is a big part of fitness, and it’s really, really cool. The loudest cheers at the Games are often reserved for impressive feats of strength and power. But strength is just one element of CrossFit. After my temperamental inner lifter had a protein shake and relaxed a little, I made my peace and realized that 18.2/18.2a is an excellent test of fitness—both of strength and conditioning. The 12-minute time cap was absolutely perfect. The fittest put up unbelievable 18.2 times followed by monstrous numbers on 18.2a. For people below the elite level, the test rewarded solid levels of conditioning with about 5 minutes on the bar, which is more than enough time to recover and hit several decent lifts. Others still got 1-2 minutes, even if the burpees were labored and the squats were heavy. For some, 12 minutes created a wonderful goal: Give everything to complete 110 reps and earn just enough time for one rushed lift. And of course magical stuff happened! Lots of people hit lifting PRs while fatigued. 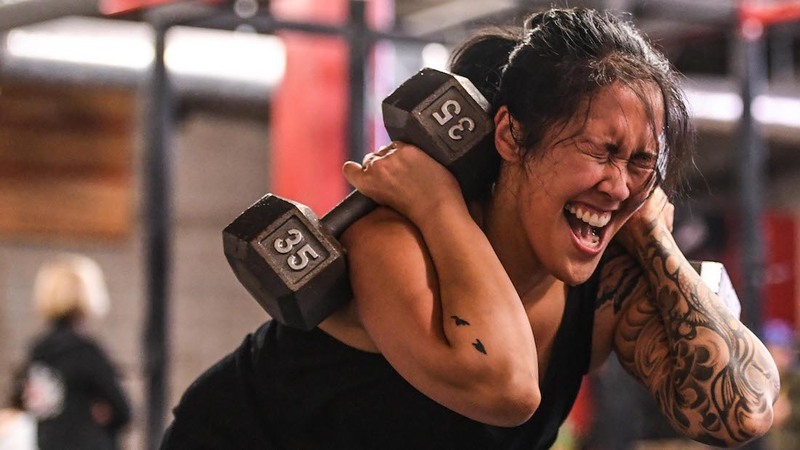 CrossFit HQ’s Russ Greene once called it the “Aromas Effect”: strength PRs that come when an athlete is tired from some other effort. 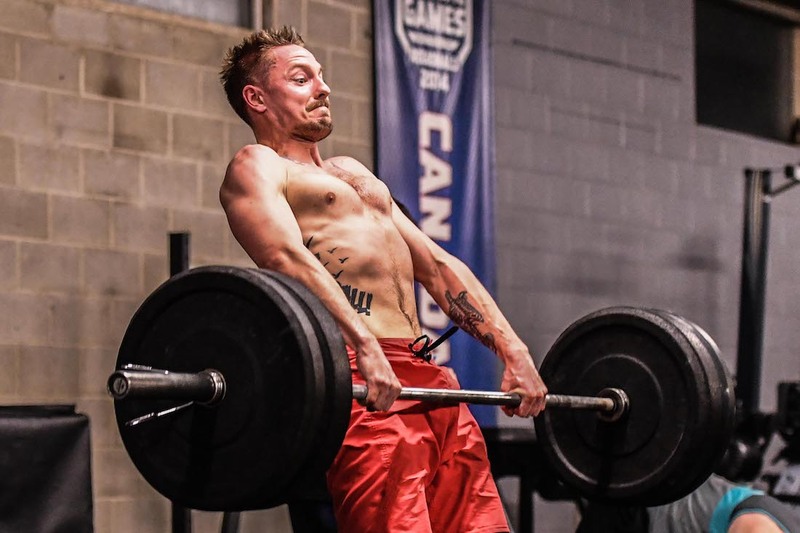 While not everyone hit a PR, many, many people did, and others lifted far more than they thought they would after tasting lung during 18.2. If you’re one of the strong kids who didn’t get to grab the knurling, or if you weren’t happy with the load you lifted, here’s the lesson: Do more conditioning. Trust me: You won’t lose all your “gainz.” You don’t have to stop lifting, you don’t have to run a marathon, and you don’t have to put up the best Murph time. You only have to show up for regular conditioning workouts and put in solid effort. That means you aren’t just going through the motions because tomorrow is squat day. You’ll have to suffer a bit, and you’ll have to get out of the comfort zone that is the Holy Trinity of 1, 3 and 5 reps. You still can go back there regularly, but we’re doing Helen today. If you really invest in your conditioning over the next year, you won’t crap your pants when you have to earn access to something heavy in 19-point-whatever. You’ll know you’re fit enough to beat the time cap, and you’ll know you can lift big weight even when you’re tired. That’s cooler than just being strong. So, finish out the 2018 Open and have a great time doing it. Then read “An Open Letter to the Big Dogs” and recommit to smart training. After a few months of that, work your way through 18.2/18.2a, 17.3, 16.2, 15.1/15.1a, 14.3, 13.1, 12.2, 11.3—other tests of conditioning and strength. I guarantee you’ll be pleased with the results. And you’ll be a better overall athlete, too.